Item # 312576 Stash Points: 2,995 (?) This is the number of points you get in The Zumiez Stash for purchasing this item. Stash points are redeemable for exclusive rewards only available to Zumiez Stash members. To redeem your points check out the rewards catalog on thestash.zumiez.com. 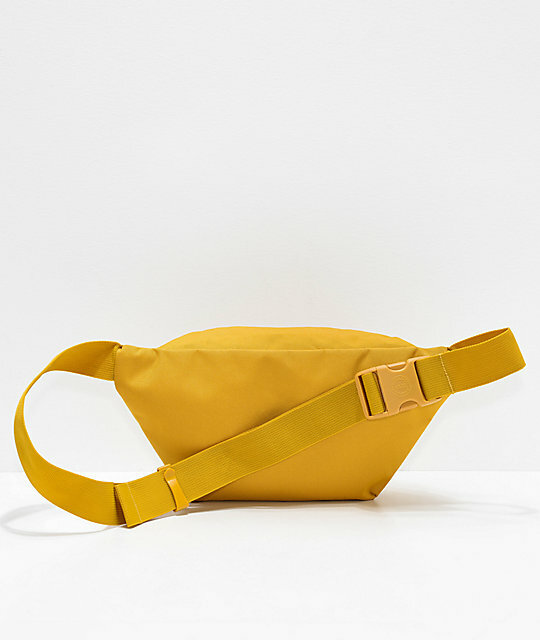 Give your daily accessories a fashionable holster with the Herschel Supply Co. Seventeen Arrowood Fanny Pack. 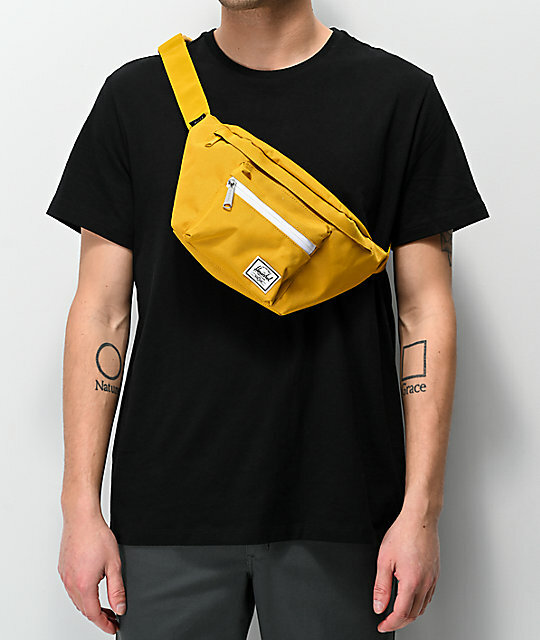 All-yellow throughout, this pack features two main pockets with zip closure for 2.5 Liters of safe storage space. 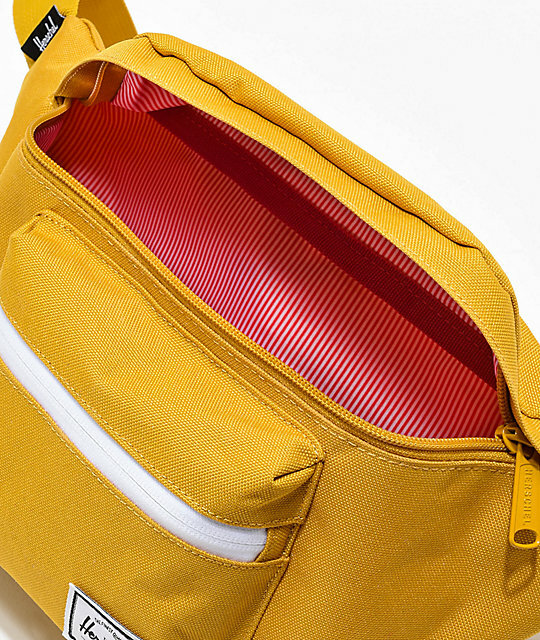 Finished with Herschel's classic red and white striped interior lining, this bag stays true to the brand's iconic look. 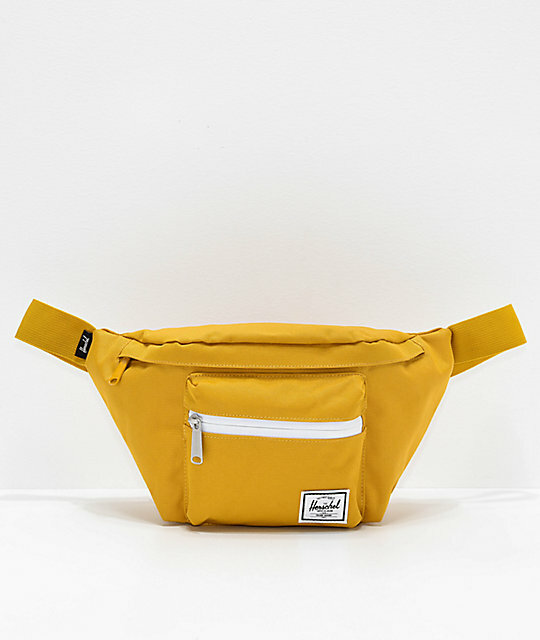 Seventeen Arrowood Fanny Pack from Herschel Supply Co.
Signature red and white striped interior fabric lining. Herschel Supply logo patch at the front. Zipper main compartment and smaller front pocket. 7" (H) x 7" (W) x 3" (D) | 18cm x 18cm x 8cm. Limited Lifetime warranty against defects in materials and workmanship.